The average human, at rest, produces around 100 watts of power. This equates to around 2000 kcal of food energy, which is why your recommended daily intake of calories is around 2000 kcal. Over periods of a few minutes (or a few hours in the case of trained athletes), we can comfortably sustain 300-400 watts — and in the case of very short bursts of energy, such as sprinting, some humans can output up to 2,000 watts. The bulk of this energy is required for important tasks, such as pumping your heart and flexing your muscles, but a lot of it is wasted — primarily as heat, but also through other physical inefficiencies. Almost all of this wasted energy could be captured and turned into electricity, which could then augment or completely replace our reliance on chemical batteries. Yes, this is rather like that scene in The Matrix where Neo wakes up and finds out he and billions of other humans are being harnessed as a power source for the sentient robot overlords — but it does actually make a lot of sense. As it stands, battery technology is by far the biggest limitation when it comes to modern technology. Batteries are large, heavy, and except for one recent breakthrough can only be fashioned into a few very restrictive shapes (cylinders, bricks). If we could remove batteries from the equation, it would suddenly be possible to have truly wearable computers — computers wrapped around your wrist, embedded in your shoes, or woven into your clothes. To do this, we only need to capture a few watts of power from the human body — a negligible amount that would probably have zero effect on your body. On the off chance that you do feel a bit drowsy, you could compensate for the energy loss by simply drinking a can of Coke, which is a lot more convenient than remembering to plug your smartphone into a wall charger. Now, just so we’re clear, this isn’t my crazy pipe dream. Engineers have been working on ways of reclaiming wasted energy for years, first through “dumb” methods that capture waste heat, and more recently using microelectronic and nanoscale devices that capture energy from your every movement. In Sweden, for example, Stockholm’s Central Station uses heat exchangers to convert commuter body heat into hot water, which is then piped to an office building next door — an approach that could easily be replicated in shopping malls and supermarkets around the world. 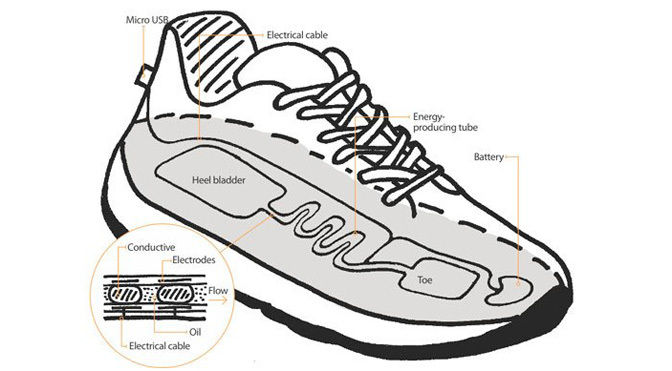 The University of Wisconsin has created a special shoe that uses electrowetting to produce 10 watts — a huge amount of energy — just from walking. The only reason such energy harvesting techniques aren’t widely used is down to the relative immaturity of the tech. In the case of piezoelectric generators, they produce minuscule amounts of electricity that struggle to power a computer, let alone a sensor. While it’s easy to capture body heat on a grand scale, such as in Sweden, there’s still no easy way to harvest large amounts of waste heat on a local, wearable scale. There is even one research group at the University of Southampton that is using the human heart itself — the flow of blood passing through a turbine — as a power source for a pacemaker. Even there, though, their technique can only capture 17% of the power required (and a pacemaker requires very little power). We also need to find out just how much power we can safely harvest from the human body — a child might only be able to provide 5 watts, while Usain Bolt could probably power a small family home, if you kept him pumped full of Mountain Dew. There might also be the possibility that drawing too many watts would force your body to burn up fat supplies, which would make for a very geek-friendly diet. 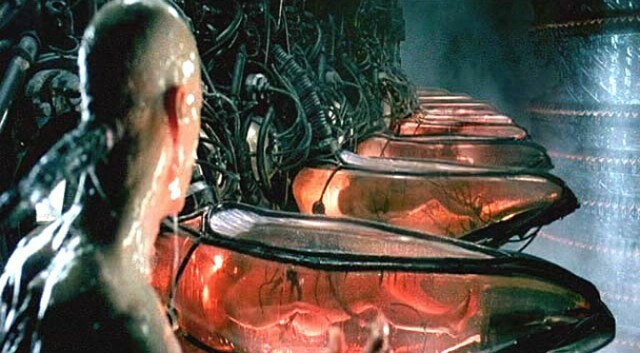 In short, human batteries are coming — it’s just a matter of time and research. 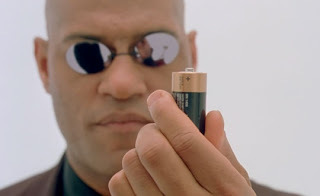 The first people to tap their bodies for power will probably be soldiers, who are often lumbered down by tons of equipment, including bulky batteries. If a few watts can be reclaimed from their body heat, or the movement of their backpack, then their quality of life could be significantly improved.